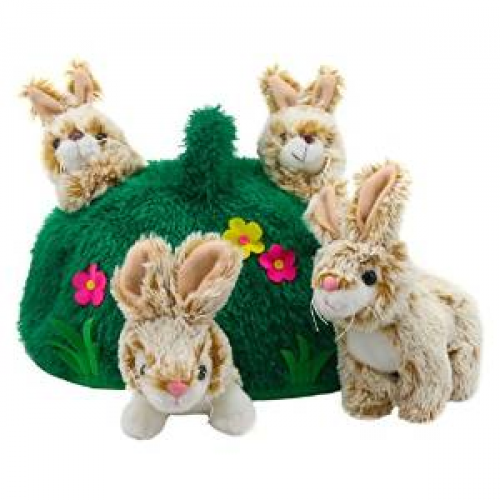 There are 4 adorable finger puppet rabbit puppets peeping out of their hill, with space to store your rabbits inside the hill when not in use. it's the perfect home! • Set includes: 4 finger puppet rabbits and hill. • All finger puppets have elasticated access in bottom. • Suitable for children 12 months and above.